Northwest Institute for Contemporary Learning (N.I.C.L.) 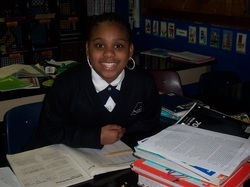 is a private, not-for-profit school operating in the Greater North Pulaski/North Austin Community of Chicago. Chartered by the State of Illinois, NICL operates two interlocking programs that reflect the character and needs of this community. 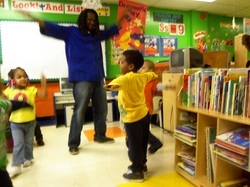 The first program is the Preschool serving children between the ages of two and five years. The second is the Elementary School serving grades first through eighth. The Preschool Program at NICL is a true educational experience that enhances the role of the family in the life of the child. The program is based upon principles of human growth and development that determine the curriculum and activities of the school. In this way, we have been able to arrive at a unique program that recognizes the individuality of each child's learning readiness and style. The Elementary School Program has an enrollment of over (125) children; the majority once attended NICL Preschool. Here the students are met on their own level with a challenge to attain excellence. To us, excellence is not limited to the attainment of grades alone, but extends in the areas of the student's emotional and social life. To ensure the latter, the Elementary School provides for parental involvement in the educational process. The school has a Parent's Alliance that acts in an advisory capacity to the educational program as well as providing concrete support to the school and to the community. Thus, the educational experience reflects the realities of the community in which the families live. The Social Component of NICL is active in both school programs. Recognizing that families are subject to stress, the Social Service Component attempts to provide help in concrete ways. We have a program for individual, group, and family therapy that is poised to intervene when problems arise. The signal may come from the behavior of a child, who may be reacting to unique situations in the family. It may come from a parent reacting to the family or individual problems. The signal may also come from the community as it reflects the large variety of social problems flowing throughout urban communities. The Greater North Pulaski- North Austin area is not an exception as a community. It is subject to many problems that are serious enough to warrant direct action. In response to widespread hunger in the city of Chicago, NICL operates a Food Pantry serving hot meals to those in need. From this community service, we were able to move in another related direction in response to a felt need for the Emergency Food and Shelter Program. This segment of the program is geared to families, women, and children who have been victims of fire, families with economic disasters, i.e. unemployment, battered women and children, evictions, demolishing of unlivable buildings and the homeless. In this program, comprehensive social services are offered to help the individual/family regain some stability. Services focus on counseling to determine the extent of need, transportation and referral to essential community services, such as Public Assistance, The Department of Children and Family Services, and similar agencies.